Meetings have been held in Baku this week to entice Azerbaijan to build more vessels at the Red Sormovo shipyard in Russia. Management from the MNP group, which owns the yard, met with Russian-Azerbaijani and Azerbaijani-Russian business councils in Baku on Monday to discuss the proposed partnership, according to Azerbaijani reports. Between 2002 to 2009, Red Sormovo reportedly supplied a bulk carrier, two tankers and seven tankers for Azerbaijan Caspian Shipping Company. The meeting coincided with Russian president Vladimir Putin’s visit to Azerbaijan, which was aimed at increasing economic cooperation between the two countries. “Projects for Azerbaijan Caspian Shipping Company, implemented earlier by the group of MNP and Sormovo shipbuilders, have created a basis for long-term partnership with shipowners operating in the country. Therefore, we continue to participate in such large-scale bilateral meetings. As a rule, they are quite productive,” Vadim Malov, executive director of MNP group, told press. 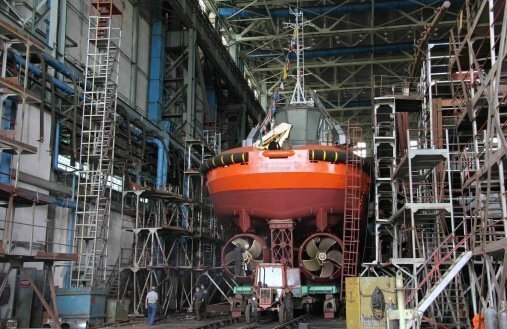 Earlier this week, Russia invited China to invest in shipbuilding facilities in the Far East of the country, with the Zvezda shipyard, located in the town of Bolshoy Kamen, earmarked as a prime candidate for Chinese investment.